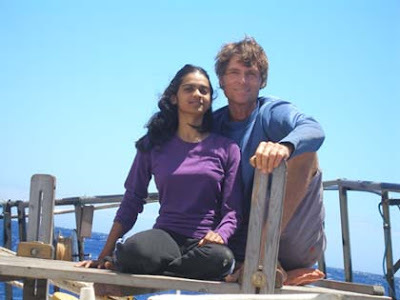 Reid Stowe and Sonaya Ahmad continue their record breaking voyage aimed at a 1000 day isolation voyage from the populated world, just like that which will be experienced by a Mars crew later this century. Their hardy schooner Anne (named after Reid’s mother) is just about to cross below Africa beneath the Cape of Good Hope. They voyage is exciting and can be followed on a day-by-day basis on their website 1000Days.net. The site contains nearly daily updates from Reis and Sonaya as well as photos and their daily log. It even contains a real time satellite uplinked position map.